The IFP appears to be making a comeback in its traditional strongholds, and this may be bad news for the ruling party’s 2019 ambitions. An electoral political analyst has said that if the results of recent by-elections and other indicators are anything to go by, then rural KwaZulu-Natal could turn out to be one of the biggest challenges to the ANC’s election hopes in 2019. 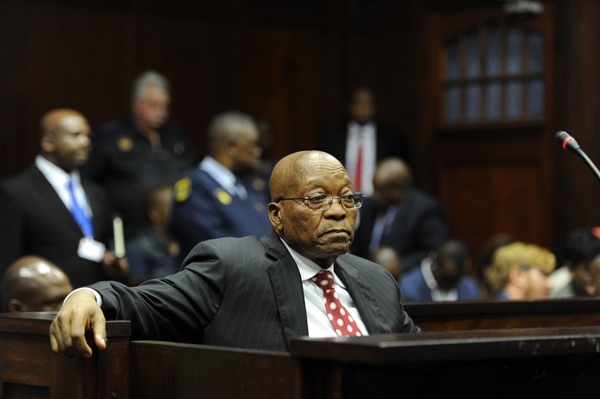 During the presidential terms of Jacob Zuma, the province became a stronghold for the ANC, which was assisted by infighting in the Inkatha Freedom Party (IFP) that led to the breakaway National Freedom Party (NFP) splitting the so-called Zulu vote. Despite the ANC benefiting from the “Zuma effect”, the then president struggled to win his own ward in Nkandla, traditionally an IFP rural stronghold. Consultant Dawie Scholtz has now said the recent Mthonjaneni by-election in rural KwaZulu-Natal – which resulted in another victory for the IFP – should be seen as yet “another data point indicating a swing away from the ANC in rural KZN”. The result of the by-election saw 52% of the voters supporting the IFP. This was an uptick of 5% for them and a drop of 8% for the ANC. He said there had been five relevant by-elections this year “in IFP/ANC contested wards in KZN” and they all suggested bad news for the ruling party. Rural KZN is now probably the ANC's greatest electoral challenge leading up to 2019. He pointed out that a 10% swing against the ANC in the province would have “significant consequences for the ANC’s national tally”. Scholtz has previously been critical of a widely publicised election poll by Ipsos this month that predicted ANC support in next year’s elections could be as high as 60%. He criticised Ipsos’ data for suggesting that as much as 13% of white voters would be voting ANC, which would be unprecedented for the party. He also pointed to other data that he feels was “wonky”. He particularly criticised the assumption that the IFP would only get 3% in KwaZulu-Natal. 5/ Two other very strange things from the poll, which are probably just standard errors on small sub-samples. With that many undecideds, and some strange sub-results, 60-13-7 isn't a close approximation of true voting intentions. When President Cyril Ramaphosa this month personally went to Zulu King Goodwill Zwelithini to reassure him that his government would not be taking away land owned by his Ingonyama Trust (about 30% of the land in KwaZulu-Natal), many analysts interpreted this as an attempt on Ramaphosa’s part to shore up a perceived slide in support for the ANC in the province. The ANC received 62.15% of the vote in 2014 nationally. It dominated the former IFP stronghold, winning 52 of 80 seats with 64.52% of the vote. 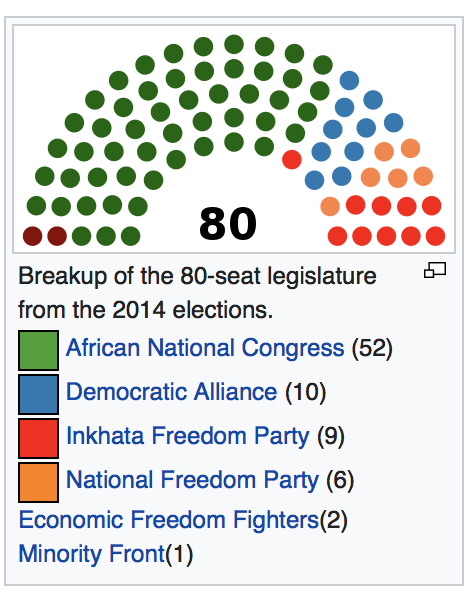 To put that in perspective, the IFP led with 50.32% of the vote in KwaZulu-Natal in 1994, with the ANC only getting 32.23% of the vote 20 years ago. A tally of 2,475,041 voters chose the ANC four years ago. For the first time the DA also became the official opposition in the province, after the IFP and NFP had to split their votes, with nine seats going to the IFP and six to the NFP. KwaZulu-Natal accounted for nearly 22% of all the ANC’s votes nationally in 2014.